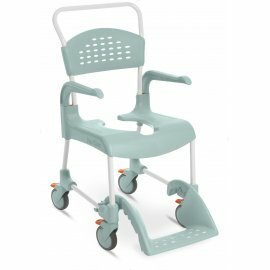 Etac provide a Shower and Toileting range including shower commodes. 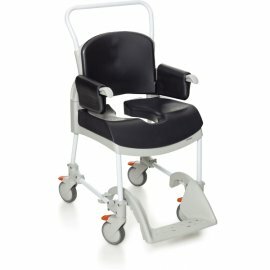 The Shower Commodes are well-designed and facilitate day routines for both users and carers. 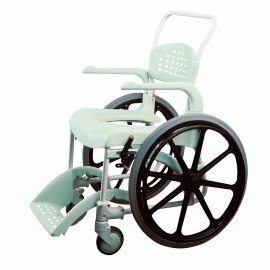 The Shower chairs are designed with mobility, comfort and security in mind. 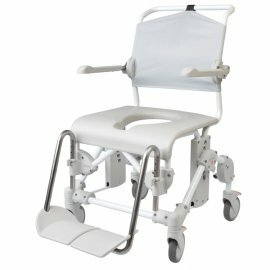 Etac Clean mobile shower commode The Etac Clean is an award winning range of shower c..
Etac Clean mobile commode The Etac Clean is an award winning range of shower commode ..
Etac Swift Mobile 160 shower commode The Etac Swift Mobile 160 shower commode is one ..
Etac Swift Mobile 160 shower commode with bucket holderThe Etac Swift Mobile 160 shower co..
Etac Swift Mobile 160 shower commode with pan holder The Etac Swift Mobile 160 shower..
Etac Swift Mobile 24" assembled The Etac Swift Mobile 24" is the perfect solution for..
Etac Swift Mobile 24" assembled (Incl. Pan holder)The Etac Swift Mobile 24" is the perfect..
Etac Swift Mobile 24" (Incl. 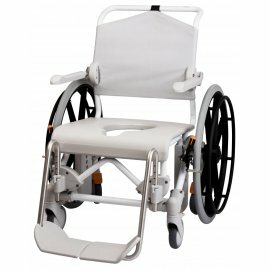 Bucket holder)The Etac Swift Mobile 24" is the perfect soluti..
Etac Swift Mobile shower commode - assembled The Etac Swift Mobile shower commode- as..
Etac Swift Mobile shower commode - assembled with pan holder The Etac Swift Mobile sh..
Etac Swift Mobile shower commode - part assembled The Etac Swift Mobile shower commod..
Etac Swift Mobile shower commode- part assembled with bucket holderThe Etac Swift Mobile s..
Etac Swift Mobile shower commode- part assembled with pan holderThe Etac Swift Mobile show..
Etac Swift Mobile Tilt The Etac Swift Mobile Tilt shower and toileting chair is avail..
Etac Swift Mobile Tilt with bucket holder The Etac Swift Mobile Tilt with bucket hold..
Etac Swift Mobile Tilt with pan holder The Etac Swift Mobile Tilt with pan holder sho..
Etac Swift Mobile Tilt 160The Etac Swift Mobile Tilt 160 shower and toileting chair is ava..
Etac Swift Mobile Tilt 160 with bucket holderThe Etac Swift Mobile Tilt 160 with bucket ho..
Etac Swift Mobile Tilt 160 with pan holderThe Etac Swift Mobile Tilt 160 with pan holder s..
Etac Swift Mobile Tilt with Motor The Etac Swift Mobile Tilt with motor adds power so..
Etac Swift Mobile Tilt with Motor incl. bucket holderThe Etac Swift Mobile Tilt with motor..
Etac Swift Mobile Tilt with Motor incl. 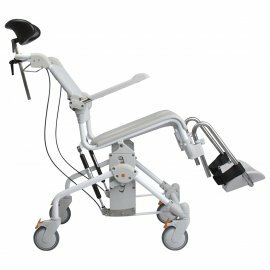 pan holderThe Etac Swift Mobile Tilt with motor ad..
Etac Clean Comfort 49cm The Etac clean Comfort has a 49cm clearance under the shower ..
Etac Clean Comfort 55cm The Etac clean Comfort has a 55cm clearance under the shower ..